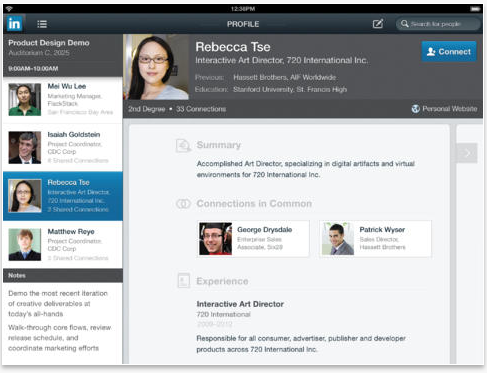 LinkedIn is moving deeper into the mobile space. At an event in San Francisco, the professional social networking company sought to promote how mobile has helped it reinvent, redefine the experience on the site. 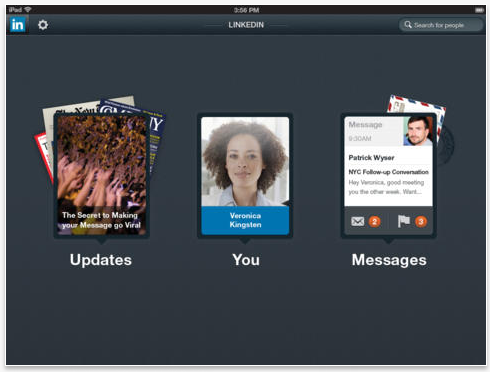 Starting today, the company unveiled a redesigned app for the iPad and also LinkedIn Intro, a product that marries its Rapportive acquisition with the mobile device. Lastly, it provided a sneak peek at the new Pulse integration coming soon. With LinkedIn’s mobile strategy, Joff Redfern, the company’ Vice President for its mobile product, said that years ago, it thought that it was helping workers during the 8-hour work day, but now it’s more of a 16-hour day both during and after the job is done. He says that LinkedIn has launched five separate apps to accomplish various goals. At the core is its flagship app where you can communicate with any member and help you find a job. It also has a search feature that you can use to find out more information about other people. The second app is its Contacts app that helps outbound professionals that aggregate all your contacts into one place to be more useful to people. Redfern says that it helps you reconnect with others. Another product is the Pulse app that LinkedIn acquired earlier this year. The fourth app is for Recruiters announced last week. And what about the fifth app? It’s a redesigned version of LinkedIn for iPad complete with a new design, a personalized experience, and “features that it thinks really shines” on the device. It brings people to the surface and enables share, follow, like, and add right from the News Feed. Influencer content has also been added to the iPad that enables users to read content or watch videos right from the app. The navigation has also been updated which has been simplified to help users find what they want. It’s personalized for your usage so it will show you companies, groups, influencers, people, etc. — all dependent on what you view the most. Search has also been enhanced so that you can look up people, jobs, companies, or groups. LinkedIn touts that the new app is made for those who just want to go home and browse through the professional social network right from their couch. The new iPad app is available today in the Apple App Store. 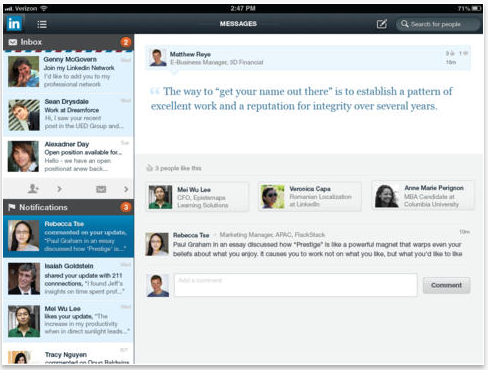 Last year, LinkedIn acquired Rapportive and now, the company is unveiling a new app that fully integrates the service. 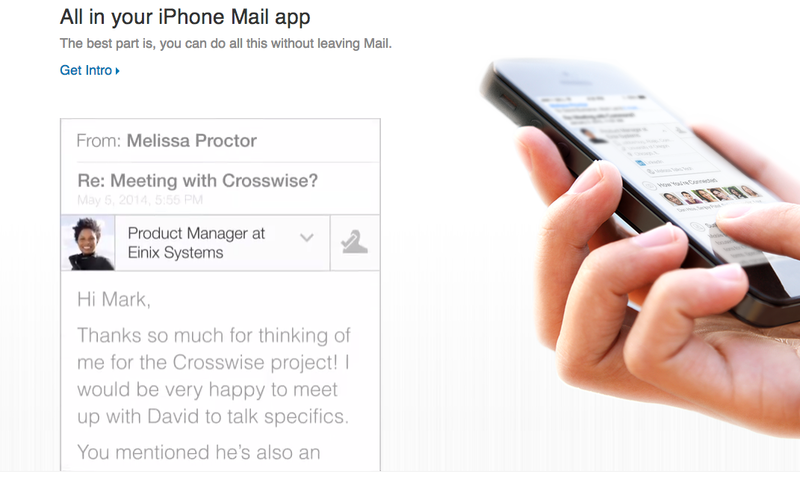 It tells us that the number one feature on mobile is email. Today, more than half of all emails are read on mobile devices and LinkedIn is looking to capitalize on that statistic. 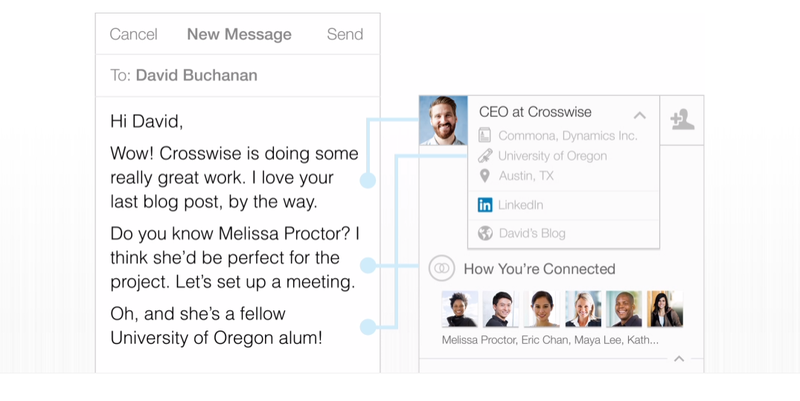 Starting today, LinkedIn is unveiling “Intro”, a new service that ties into Apple Mail. How it works is that you would look at an email on your mobile app and through Intro, you can see more information about the sender, similar to Rapportive for Gmail. Once you’ve tapped on the Intro content, it will display the sender’s education, friends, and more designed to help you write effective emails and be brilliant and better at what you do. It works with iCloud, Gmail, AOL Mail, and more. The new app is available today at intro.linkedin.com to the general public. Company CEO Jeff Weiner took the stage from the get-go and spoke about the site’s effort to reach users everywhere. He says that 8 percent of unique visits are coming to LinkedIn in Q1 2011, but has sharply increased to 38 percent today. It’s believed that by next year, 50 percent of traffic will come from mobile devices, which it’s seeing in places like Singapore, Turkey, and United Arab Emirates. Australia, Netherlands, Denmark and Sweden are approaching that threshold, as well as the US and the UK. Other statistics that Weiner touted include the fact that there are 2.5 times more active usage on LinkedIn on mobile by members than on desktop. In addition, more than 50 percent of the company’s Sponsored update revenue was generated through mobile after the first quarter launch. It’s certain that mobile is an important to LinkedIn — Weiner says that his company is looking to reinvent, redefine, and reimagining the social network to better appeal to users on mobile devices. The vision today is to create the economic graph, something that he’s touted in the past. With the global economic graph, it offers opportunities, skills, companies, educational institutions, people, and professional knowledge. 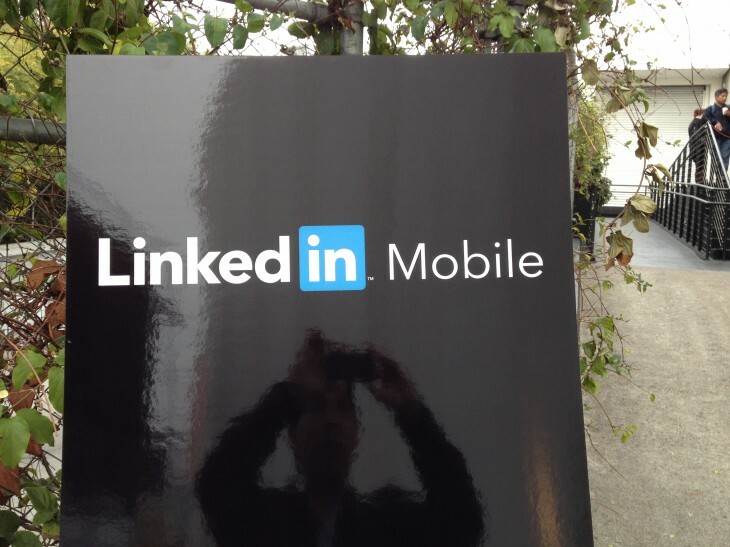 Scaling is going to be a problem for LinkedIn, but Weiner says that mobile will help it grow. 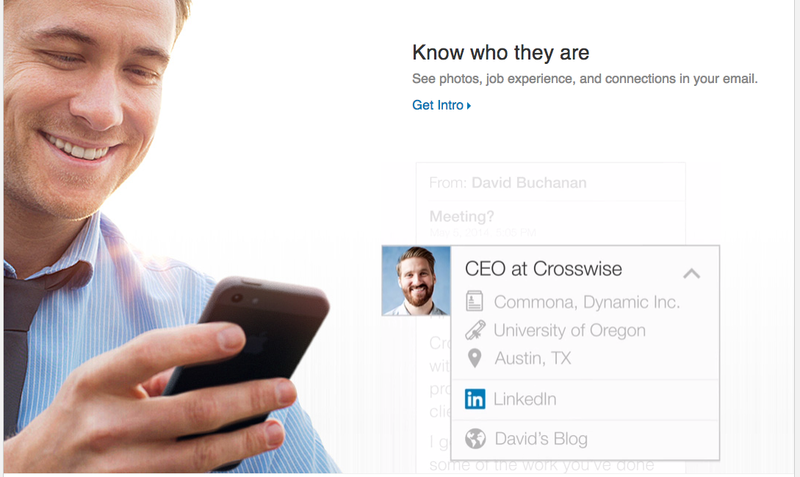 LinkedIn launched its first mobile app in 2010 and quickly redesigned it months later. 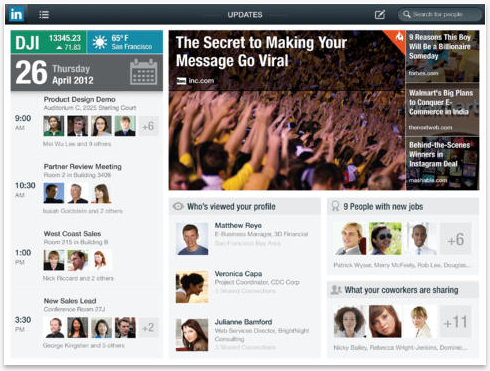 It once again redesigned the app not only for the iPhone, but also the iPad in 2012. The following year, it reinvented its flagship app and added a brand new app, Contacts, followed by another for Recruiter. In total, there have been 7 apps, and Deep Nishar, LinkedIn’s Senior Vice President of Products and User Experience, says more are coming. Nishar thinks that apps need to be useful in helping create seamless experiences to allow all users, developers, investors, and others use its products. Design has also been an important aspect of LinkedIn’s mobile strategy — there are over 40 percent of user experience designers in the company geared towards improving the mobile experience. During the company’s Mobile Day, it also offered a sneak peek at its further integration with Pulse. More than 72 percent of people view news on a mobile device and so now the app has been updated to enable you to quickly get access to interesting things to follow, whether it’s influencer posts, Harvard Business Review news, The Economist, and more. By scrolling through the app, you can view more channels. The new version is coming soon. Today’s news has been reported as being an attempt at showing the company’s investors, stakeholders, and users that it’s not ignoring the mobile space.